Mr. Hyde Review: How Safe and Effective Is this Product? Mr. Hyde is a pre-workout supplement by ProSupps that delivers 40 servings of powder in fruit flavors. This product is primarily created to bring maximized muscle pumps when you’re exercising either in the gym or in your house. 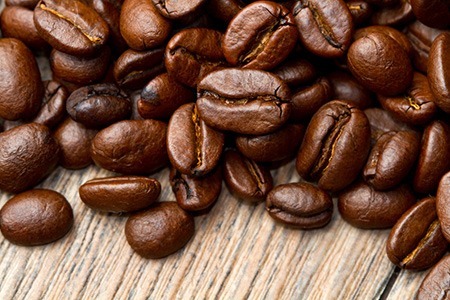 For extra energy and fortitude, there’s caffeine in the mix to take care of that. Additionally, Mr. Hyde was developed to boost energy and give maintenance to encourage enlargement of muscles. To use Mr. Hyde, add one scoop to 8 oz of water. Drink before your workout schedule. This supplement has three parts, which are the Caffeine Matrix, Strength Matrix, and Intensity Matrix. Many customers like the taste of the Fruit Punch flavor amongst other flavors. Mr. Hyde has an essential role in improving energy and intensity when working out. This product blends excellently with water. It is an exciting drink with several flavors available. Most people, however, prefer cherry bomb and fruit punch flavors. Users who have taken this product claimed that the grittiness of the supplement is not a concern. Consumers take Mr. Hyde by allowing the mixture to linger for 5 minutes. After that, they drink it. Some users claim that they began using Mr. Hyde with only a scoop, but they eventually added the content and made it to 1.5 scoops right after the fourth cycle. For others, this gets them the sufficient pump they want. With Mr. Hyde, the effects of the product can be felt instantaneously. This is in contrast with other products. Every serving of Mr. Hyde has 2 kinds of caffeine, which deliver further watchfulness and improved stamina. These are both vital when exercising. Creatine: A standalone nutrient, this is used by numerous bodybuilders and athletes because it has the capacity to increase performance in many athletic activities. Agmatine sulfate: This helps in bringing muscle mass that bodybuilders aspire to have. Beta Alanine: An amino acid that gives energy and intense power, which allows you to exercise even further. L-leucine: This is a vital amino acid that fuels stamina. It also assists in the sustenance of healthy blood sugar levels. Lastly, it allows the body to naturally produce growth hormones. People who were able to experience Mr. Hyde have expressed their satisfaction with regards to their use of the supplement. This then motivated other people to consider trying it as well. They are now using Mr. Hyde and trying every flavor, too. However, it is important to note that it is ideal to consume an entire container before moving on to another flavor. This is to ensure that your body can adapt to the new taste. Picamilon or Pikamilon: This nutrient mixes GABA and Niacin. This improves mental capacities while also boosting your blood flow. Through this, you can focus more on your routine while also increasing your feeling of being motivated. n-Methyl tyramine: This compound is in-charge for giving energy and supporting the body to burn fat. Reminder: The outcome of all these components combined in a single supplement cannot be mimicked by different kinds of supplements taken at a time. Taking various products at a time is actually more costly. People with the aforementioned cases risk their overall well-being when taking supplements without getting proper advice from their doctors. As much as possible, stay away from coffee and soda if you’re already consuming Mr. Hyde on a regular basis. Remember to only follow the recommended dosage and not exceed. Some of the nutrients in Mr. Hyde are already concentrated plus there’s also caffeine. The myriad of elements in Mr. Hyde guarantees the delivery of energy, stamina, in addition to the burning of fat and muscle growth. Most especially, Mr. Hyde is valuable if used for fitness purposes. Do yourself a favor and make your decision once you have discussed the product with your doctor.